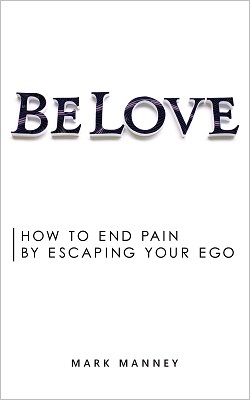 Escape the ego to destroy the pain body. Failure is caused by the belief that you are your mind. This is a limiting belief that allows you to ignore the way you physically feel, ignore your gut feelings, and shut out what excites you. This, you believe, is how to behave like a grown-up. You don’t have time for that touchy-feely stuff, right? Too bad, because this is what has been holding you back. No matter your experience and education, the unobserved mind runs in all sorts of directions and is certain of nothing. It generates only stress and confusion for yourself and others. Dominated by fear, the mind-identified person creates nothing of true and lasting value. Everything is motivated only by a desperate clinging to external form, a desire to be right, a need for security in a world of chaos. You are attempting the impossible. So you burn out. You often feel miserable. Life becomes only a series of compromises but the reward—what you truly desire—never comes. So you beat yourself up. More self-discipline and the cycle continues. These teachings are about another way. The way of true mastery. This is the start of a huge movement. Take part and help lead on the “I Am by Infobeing” mobile app. Check the app for daily teachings and use the app to connect with and serve other members. We continue tomorrow and each day after that.